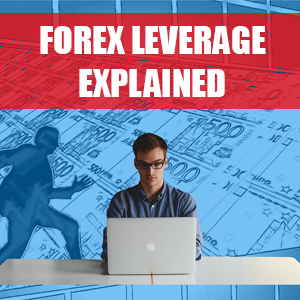 In this post I will be giving a layman’s explanation of Forex Leverage and Forex Margin to help you understand what they are and the potential risks involved. It is extremely important that you have a clear understanding of both Forex Leverage and Forex Margin before you start trading. I often see forex traders around the web trading without an understanding of these very important factors and whilst brokers may promote high leverage to attract clients, it can be dangerous especially to the uninformed who wonder why they end up blowing their trading account with a margin call or stop out. I will try to explain leverage and margin as clear and concise as possible! Forex Leverage effectively determines what position size you can trade on your forex trading account. As the word “leverage” suggests, it can mean that you can trade with a position size much greater than your account balance, if not trading with 1:1 leverage. Thus, if you were trading on a forex broker with a trading account leverage of 1:100, this means you could trade a position size 100 times greater than your account. The 1 on the left = your account whilst the 100 on the right = multiple of your account. In this instance, an account of $1,000 would be able to trade a position size of $100,000 (1 standard lot). $1,000 x 100 (leverage) = $100,000. Woohoo! Happy days I can trade with a position much larger than my account, I am going to be rich! Wait, not so fast! If you traded a $100,000 position on your $1,000 trading account with 1 standard lot ($10 per pip), a 100-pip move would wipe your account out. 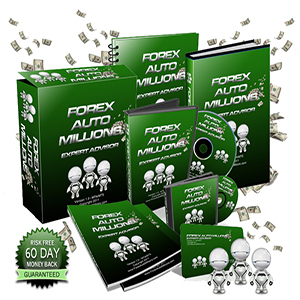 Forex currency pairs can move 100 pips in one day! So, whilst high leverage may seem very attractive, it can also be very dangerous. That being said, some traders do not mind the extra risk and that is their choice whilst just because you have a leverage of 1:100 this does not mean that you have to max out the position, you could still trade with minimal 0.01 lots. 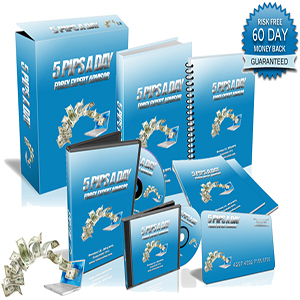 Forex leverage is calculated by simply multiplying your account by the leverage your forex broker has provided you with. The result is the maximum position size that you trade, whether this be in one position or multiple positions. Positions being trades of course. Am I over complicating this, sorry! To give another example, leverage of 1:10 would mean that your $1,000 account would be able to trade a position of $10,000. $1,000 x 10 = $10,000, simples! I could give numerous examples and some fancy charts but I think KISS is a good approach to this – Keep It Simple Stupid! In a nutshell, forex margin is the amount you need in your trading account to take a leveraged position with your broker. The margin is an amount of your account used to keep the position open and to open further positions if need be. Used margin is the amount of your account balance that is locked up in current open positions whilst available margin is the amount of your account left for you to open further positions. This certainly does not mean “yay I have lots of margin left let me keep opening positions until I have used it all up!” That is most probably going to lead to a margin call which means that the money in your account cannot cover the potential loss and your broker will close all open trades for your own safety. I always prefer to trade within my means and keep plenty of account margin free for peace of mind and lower the risk of the well running dry. How is Forex Margin calculated? Forex margin is usually calculated based on a % of the full amount of the position that you wish to take and depends on your brokers margin requirements and leverage offered. What are the advantages of high Forex Leverage? 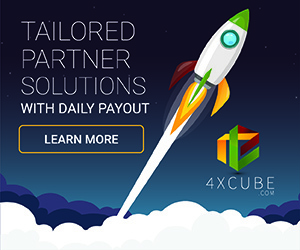 The main advantage of high Forex Leverage is that it allows you to trade a position size much greater than your account size, unless using 1:1 leverage. This means that the average retail forex trader can take a position worth much more than they would be able to without being leveraged. High leverage can mean that with these larger position sizes, you can potentially make greater profits and do not need a large trading account to trade larger lot sizes. But it is a double-edged sword because whilst high leverage can mean greater profits, it can also mean greater (and faster) losses. What are the disadvantages of high Forex Leverage? As I touched on above, high forex leverage can cause losses much greater than a reasonable amount of leverage would do. If you are over leveraged and trading ridiculously high lot sizes for your account size then you could see your balance depleting at a rapid rate should the market turn against your open positions. High forex leverage is especially dangerous for newbie forex traders who do not have a grasp of the forex leverage and margin concept. They just think “wow great, I can trade huge lots on my very modest account, sign me up!” Days later they have a stop out / margin call and a blown trading account whilst blaming everyone other than themselves. Please, always understand the risks involved with forex trading (and any other form for that matter) and never risk what you can’t afford to lose as by nature, trading always carries an element of risk. This is especially true in over leveraged trading. In fact, if you do not understand leverage or margin, I would certainly suggest to study as much as possible and practice on a forex demo trading account until you 100% do! What are the advantages of low Forex Leverage? Low forex leverage is a way to trade within your means. It can add extra safety by not allowing you to trade unrealistic lot sizes and thus putting your account at risk. Basically, it can save you from yourself! I feel low leverage is the sensible way to go for long term, slow and steady forex traders with realistic expectations. What are the disadvantages of low Forex Leverage? Excitement!? No, just kidding. 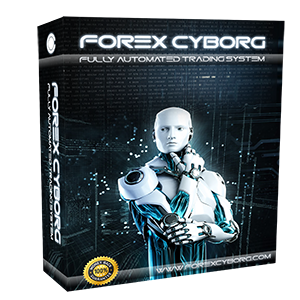 The main disadvantageof low forex leverage is logically that your position sizes will be smaller and thus your profits will also be smaller. But, smaller is a term used very loosely here due to the fact it is relative to your account size. Of course, on what one deems as a “small” trading account would only be able to trade “small” positions with low leverage. I personally think low leverage is a good thing as it makes sure that you trade within your means. That being said, it is down to your vert own personal preference and no doubt some traders do not mind using high leverage and taking on the risks associated with it. Perhaps they should have the freedom to do so. What is a Forex Margin Call? A Forex Margin call is what happens when you trade too many positions and / or too many lots which causes your available equity to fall below your available free margin. I would describe this as what happens if you do not read, understand and practice enough to understand forex leverage and margin before trading. Don’t be that person if you can help it! Although in saying that, there are unexpected events that can cause a margin call such as big news releases that cause huge spikes in the market such as when the Swiss National Bank unpegged the Swiss franc from the euro in January 23, 2017. A margin call is usually a broker’s way to protect you, after all, you do not want to lose more than your initial account balance, right?! Low Forex Leverage vs High Forex Leverage: What Forex Leverage is best and why? The choice between high or low forex leverage will depend on the individual trader. Some do not mind the higher risk associated with higher leverage as they are an aggressive / risk-taking trader willing to do so in order to shoot for bigger gains. Others will prefer to trade within their means and use sensible lot sizes to avoid losing the amounts that higher leverage can cause. They just want to build slow and steady profits. Those who trade lower leverage tend to be more experienced and see trading as a marathon not a race. Whatever you are thinking at this very moment, please understand the risks involved with trading especially on high leverage. Only trade with what makes you feel comfortable as every trader is different. Low leverage does not mean safety, a trader can still lose their account with low leverage. Previous Previous post: What are Forex Spreads and why are they important?